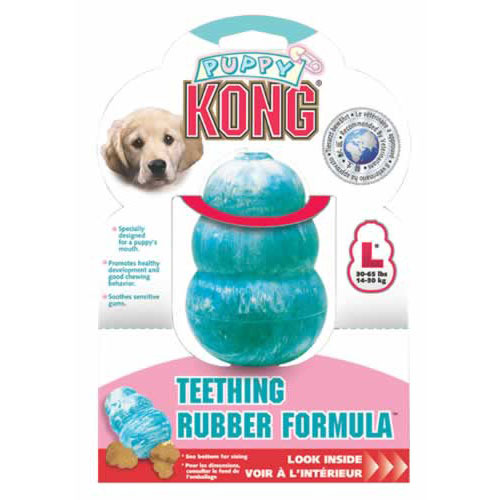 Puppy Kongs have a special teething formula of soft rubber for young, brittle teeth but are as durable as the original red Kongs. Ideal to use during a puppy's teething stage or stuff them with food treats to keep puppy happy and relaxed when left alone. 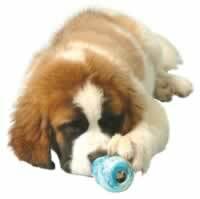 Available in 3 sizes: small, medium and large and to be used up to the age of nine months.